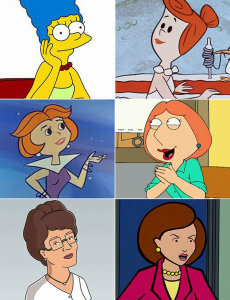 Cartoon Mom Quiz Just for Fun! We love to sit back and laugh at a good cartoon, but what makes these animated series truly relatable are the matriarchs of the families. That’s right, we’re talking about cartoon moms. From working mothers to stay-at-home housewives, our favorite shows feature a variety of women playing distinguishable characters. Find out which mom fits your personality best Just for fun! Take a time out for a quick, fun quiz!